The festive season is bearing down upon us and party season is nearly here. But what to do if you want to be festive just not that festive. 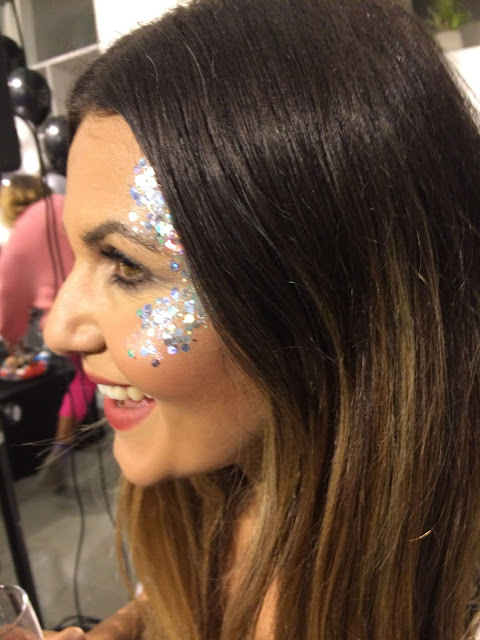 If you have a job and/or kids that don't allow for a 3 hour glamathon or that you're just a bit too old to have a full face of glitter? Well, cheat is the answer to that. Everything below can take as little or as long as you have and will be a lot of wow and actually not a lot of fuss. This is incredible. 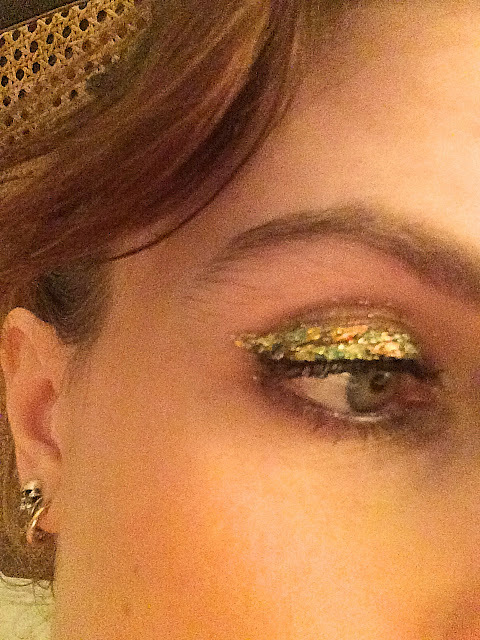 Available in a whole range of colours - my favourite is Peacock - use Duo Glue to stick this anywhere you want but I really like doing it on my eyelids with a dramatic flick liner (do the liner first, stick on the foil and then touch up the liner after) or in a crazy C shape around one eye and temple area. Looks great swept into the hair (you have to put some gel in first) for the more adventurous. Going to a do after work? Do your eye makeup as usual take the foil, some tweezers, the glue and your eyeliner pen (LimeLife make the best for this) and just apply it in the loo before you go out. It doesn't have to look neat and it takes 5 mins to do. JT Makeup studio also do a whole load of glitters, glitter discs and sequins. Sadly glitter and sequins are mostly made of plastic! But some brands are on to that and have made it biodegradable glitter and sequins. My favourites are from Ecostardust - theis signature blends look incredible and they have a good range of sizes - Moonshine signature blend looks festive! The Gypsy Shrine also have a great selection, I really like the look of the Wild Glitter's Chunky Gold. I use Duo Glue to stick mine on and a C-shape around the eye is easy to do and flattering on everyone. For those who really don't want to put in that much effort a bright red lip can look very festive. But it should be bright to make that Christmas statement. My favourite bright reds are Charlotte Tilbury Tell Laura, MAC Retro Matte Dangerous and LimeLife Enduring Lip Colour in Candy Apple. NARS used to do a fantastic black liner with gold glitter through it that was perfect for us grunge lovers during the festive season. But you can easily do your own but finding a sparkley eye liner and smudging it into a black kohl liner using a damp brush. Or there are ones that you can paint on yourself. 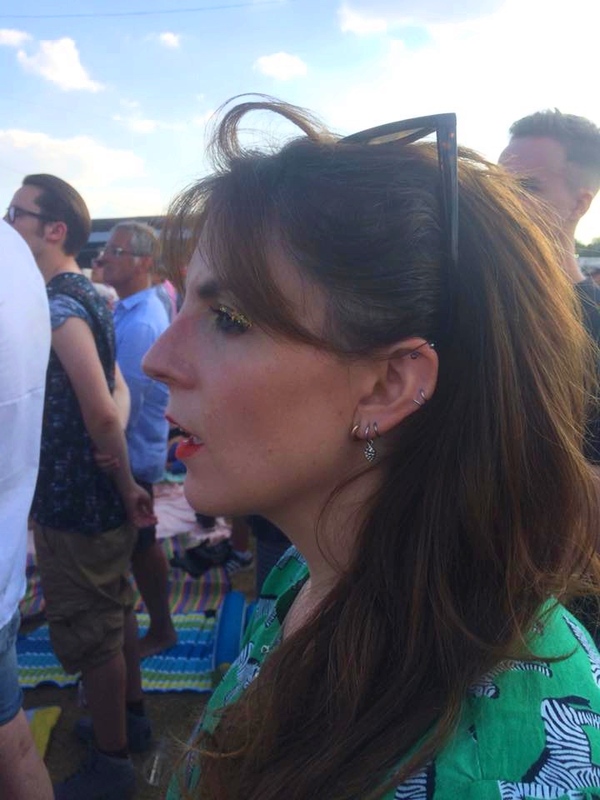 Urban Decay Heavy Metal Eyeliner comes in loads of colours and is so easy to carry in your bag and stick on in the loos after work - the more creative of you can also dot it around the eye like I suggest with the glitter.